I've yet to see Karel Reisz's The Gambler from 1974 starring James Caan though I imagine I will get around to it before Rupert Wyatt's remake expands nationwide in early January. 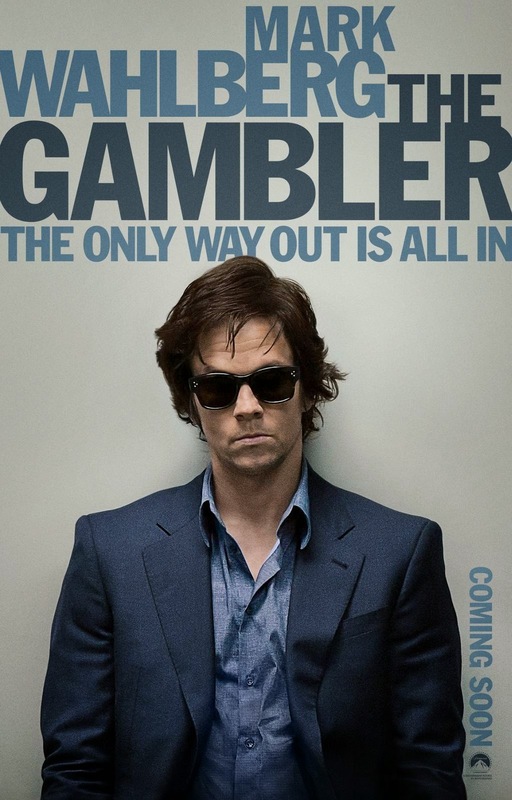 Mark Wahlberg takes over leading man duties as Jim Bennett, an English professor with a serious gambling addiction. Besides the fact this seems more low-key than it should be given the onslaught of "awards" films this season, it is also somewhat mind-blowing to see the different turns Wahlberg keeps making in his career to not only stay relevant, but broad in the biggest sense of the word. Going from original B-movie fare like 2 Guns to the stirringly solid Lone Survivor back to blockbuster bombast with Transformers and now onto this clear best actor bid before delivering his first sequel in Ted 2 next summer, the guy is on a streak that doesn't seem to be ending any time soon. As for the trailer itself, it is effortlessly cool with a look and style that oozes confidence and hints of performances that could be nothing short of revelatory given the way everyone, John Goodman especially, seems to be bringing something different to the table. Wyatt, who before this directed Rise of the Planet of the Apes, seems to have a very clear and precise vision here that has been executed to the Nth degree as even some of the single shots in this trailer conjure up a reaction without the aid of any dialogue or context. Having not seen the original I am probably more excited about the prospects of this film than if I held Caan's version close to the heart. Instead, I am genuinely looking forward to why Wyatt, Wahlberg and the rest of their team decided this was a story worth re-telling. The Gambler also stars Jessica Lange, Brie Larson, Michael K. Williams and opens in limited release on December 19th and expanding on January 2, 2015.